Burkholderia strain sp. SJ98 is a gram -ve bacterium, isolated from a pesticide contaminated soil sample from Assam agricultural fields, India by using an enrichment technique developed by Samanta et al. (2000). This strain is known to degrade a variety of nitroaromatic compounds including p-nitrophenol, 2-chloro-4-nitrophenol (2C4NP), 4-chloro-2-nitrobenzoate (4C2NB), 5-chloro-2-nitrobenzoate (5C2NB) and transform 2-chloro-3-nitrophenol (2C3NP) and 2-chloro-4-nitrobenzoate (2C4NB). We have carried out whole genome sequencing, assembly and annotation of this strain and studied the genes involved in biogeradation of nitroaromatic compounds. Chemotaxis (Che) genes and Methyl accepting chemotaxis proteins (i.e. MCPs) have been studied in the genome of Burkholderia strain sp. SJ98. All genome assembly and annotation data of Burkholderia sp. SJ98 is available at this platform. 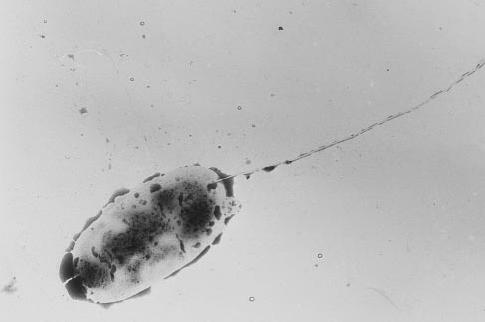 A Transmission electron microscopy (TEM) image of Burkholderia sp. SJ98.